Many of us are short of space these days. Homes are often smaller, kids get bigger and more numerous, and later in life, most of us move from larger houses into smaller and more practical homes. What to do with all the stuff? Often we can’t or don’t want to dispose of certain belongings. Why pay never ending container or storage fees? 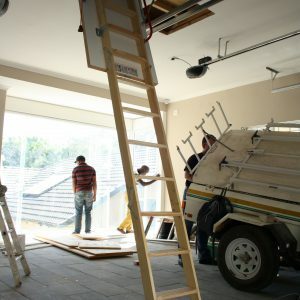 What could be more convenient than having your storage space in your roof? 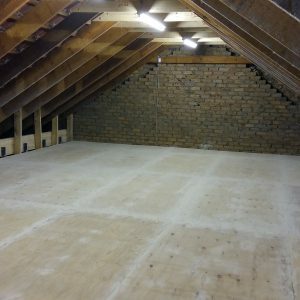 Free up that garage, spare bedroom or study and start using it for what it was designed for, because we will create the space you need in your roof. Our folding ladder, roof truss reconfiguration (if necessary) and the installation of a storage floor will solve all these problems in one go. And once it’s paid for, it’s paid for. No monthly rentals. Installed in one day!